Sport trim. Superb Condition, CARFAX 1-Owner, GREAT MILES 29,000! Tow Hitch, SIRIUS SATELLITE RADIO, 4x4, Brake Actuated Limited Slip Differential, CD Player, CONNECTIVITY GROUP, QUICK ORDER PACKAGE 23S, TRAILER TOW GROUP READ MORE!KEY FEATURES INCLUDE4x4, CD Player, Brake Actuated Limited Slip Differential Steering Wheel Controls, Child Safety Locks, Rollover Protection System, Electronic Stability Control, Bucket Seats.OPTION PACKAGESQUICK ORDER PACKAGE 23S Engine: 3.6L V6 24V VVT, Transmission: 6-Speed Manual (NSG370), Front 1-Touch Down Power Windows, Remote Keyless Entry, Deep Tint Sunscreen Windows, Leather Wrapped Steering Wheel, Chrome/Leather Wrapped Shift Knob, Power Heated Mirrors, Tires: P255/75R17 OWL On/Off Road, Power Convenience Group, Power Locks, Wheels: 17 x 7.5 Aluminum, Auto Dim Mirror w/Reading Lamp, Security Alarm, CONNECTIVITY GROUP Uconnect Voice Command w/Bluetooth®, Vehicle Information Center, Remote USB Port, Tire Pressure Monitoring Display, TRAILER TOW GROUP Class II Receiver Hitch, Trailer Tow w/4-Pin Connector Wiring, SIRIUS SATELLITE RADIO, For More Info Call 888-539-7474, TRANSMISSION: 6-SPEED MANUAL (NSG370) (STD), ENGINE: 3.6L V6 24V VVT (STD). 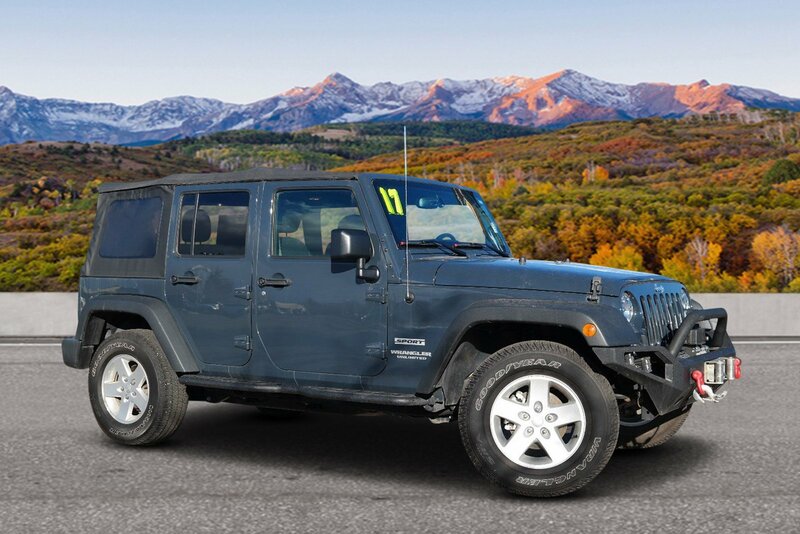 Jeep Sport with Rhino Clearcoat exterior and Black interior features a V6 Cylinder Engine with 285 HP at 6400 RPM*. 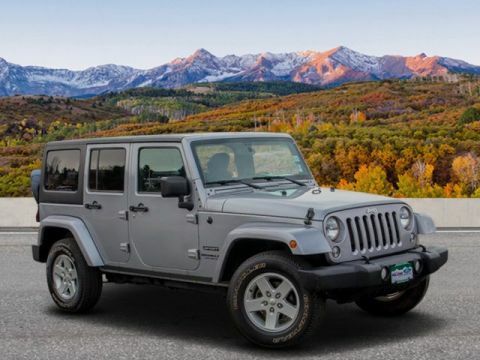 Non-Smoker vehicle, New Tires.EXPERTS RAVEStill true to its original concept after 75 years, the 2017 Jeep Wrangler continues to deliver exceptional off-road capability with ever-increasing amounts of on-road civility in an affordable package. 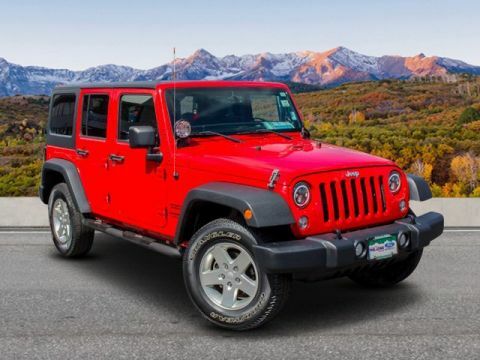 -KBB.com.SHOP WITH CONFIDENCEAutoCheck One OwnerBUY FROM AN AWARD WINNING DEALERPrices do not include sales tax, finance charges, costs of emission tests, other governmental fees, or taxes and transportation costs incurred after saleHorsepower calculations based on trim engine configuration. Please confirm the accuracy of the included equipment by calling us prior to purchase.Offer is valid through 2019-04-19.